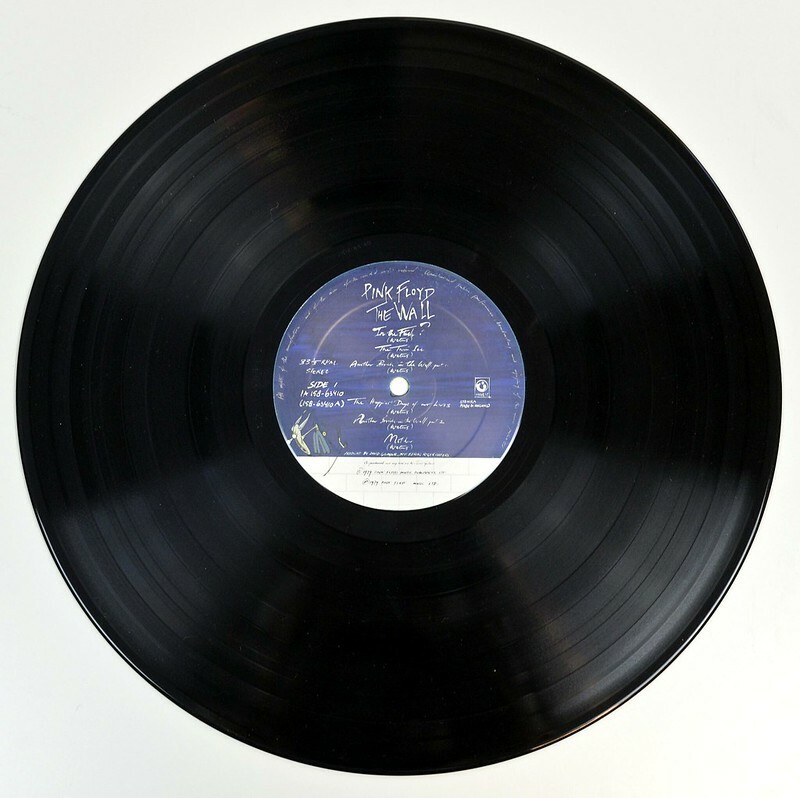 This 12" Double LP black vinyl music record comes comes in a Fold Open Cover (FOC), which is also also known as a Gatefold cover. 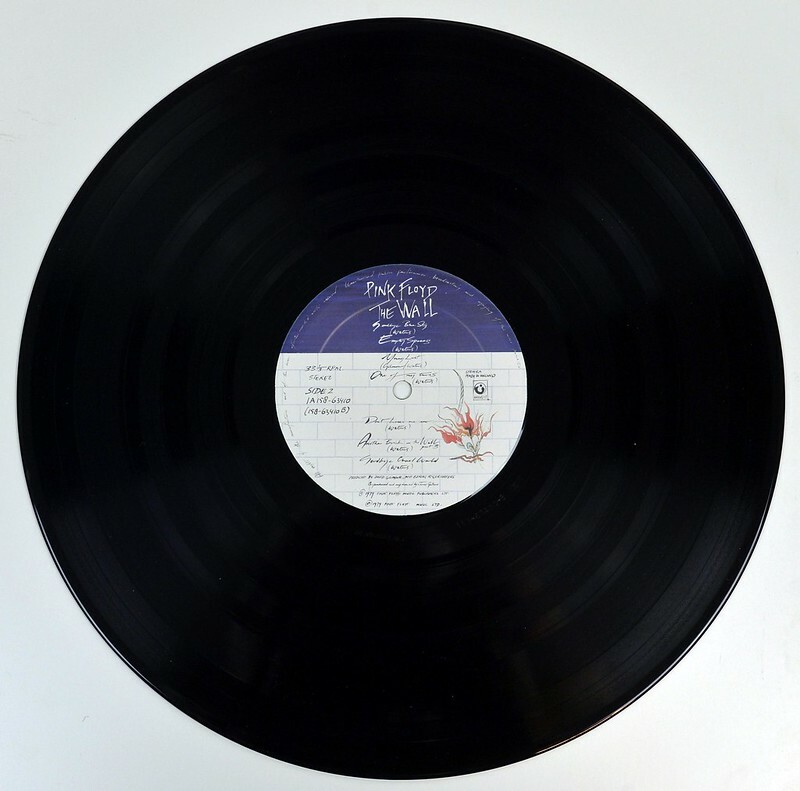 The inner pages of this album cover contains artwork, album production details and lyrics of all the songs. 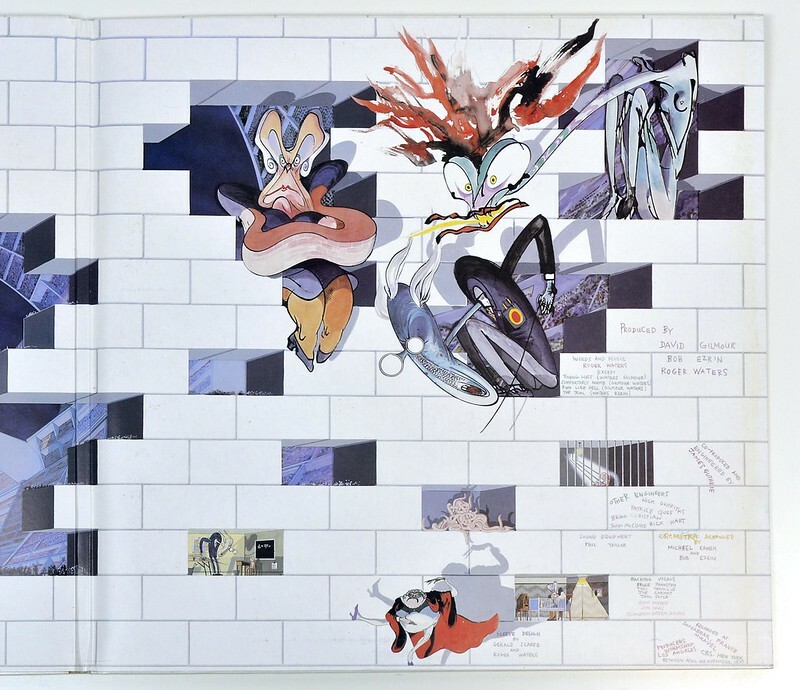 This album "PINK FLOYD - The Wall" includes the original custom inner sleeves with album details, complete lyrics of all songs by Pink Floyd. 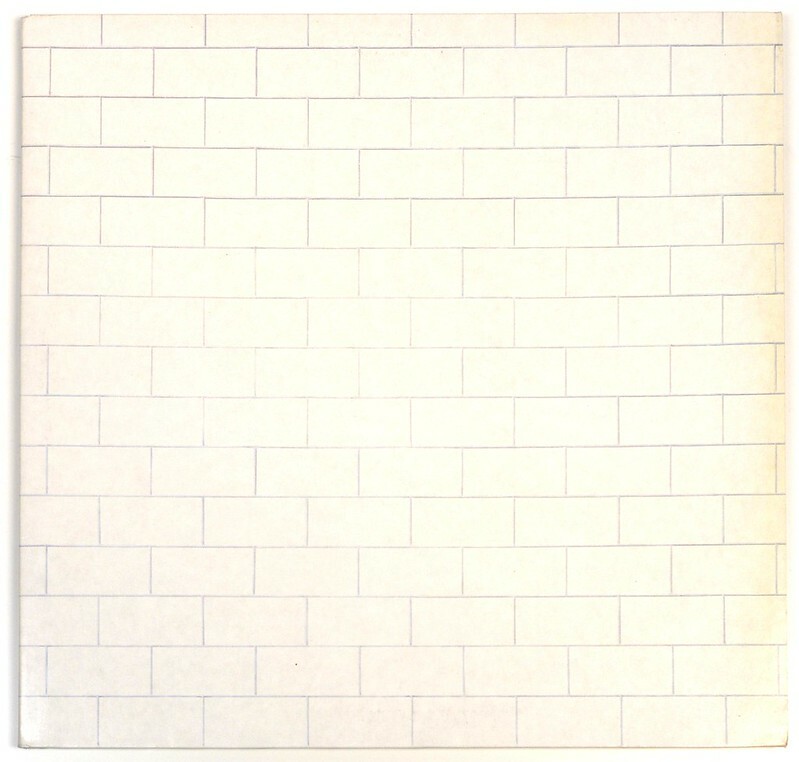 This double LP album "The Wall" comes in a so called gatefold cover, on the front and back cover shows a white brick wall. 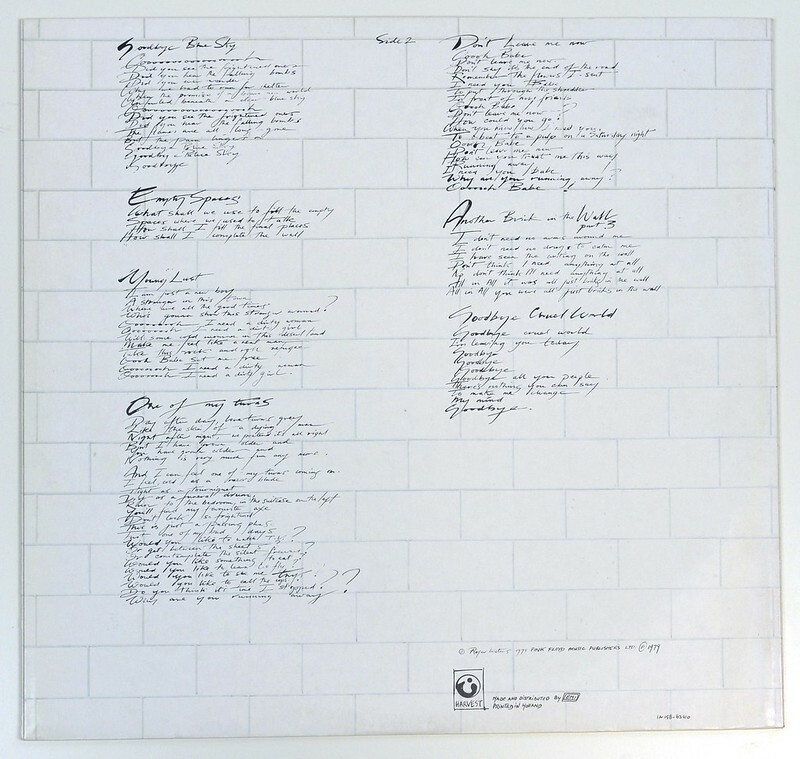 There is NO band-name printed on the album front cover. 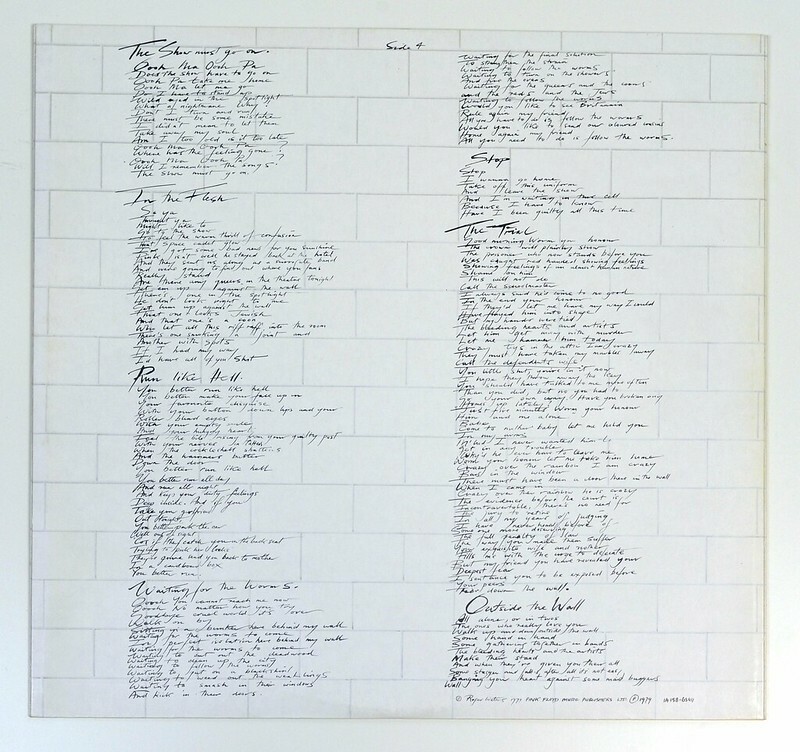 There is NO album-title printed on the album front cover. 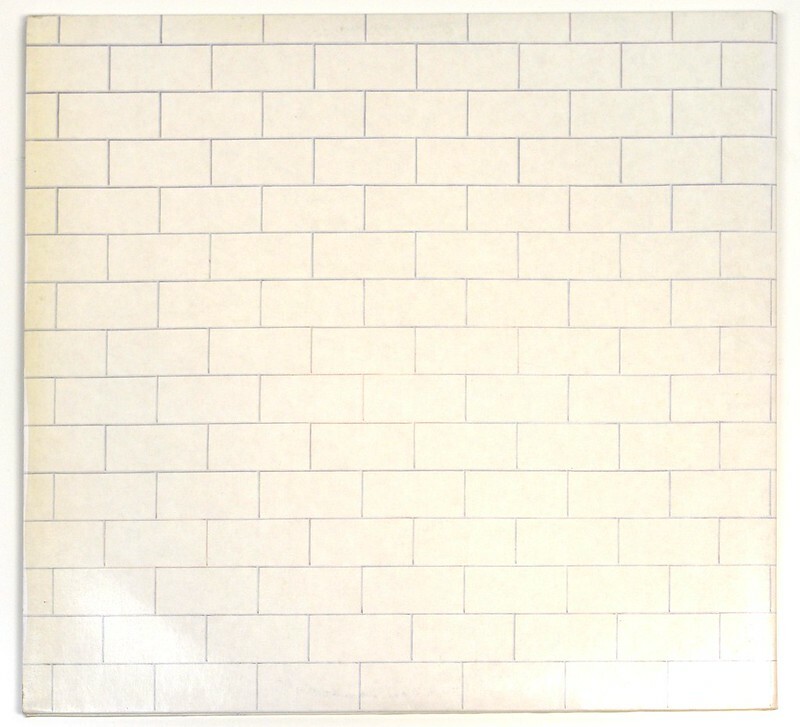 There is NO catalognr on the album front cover. 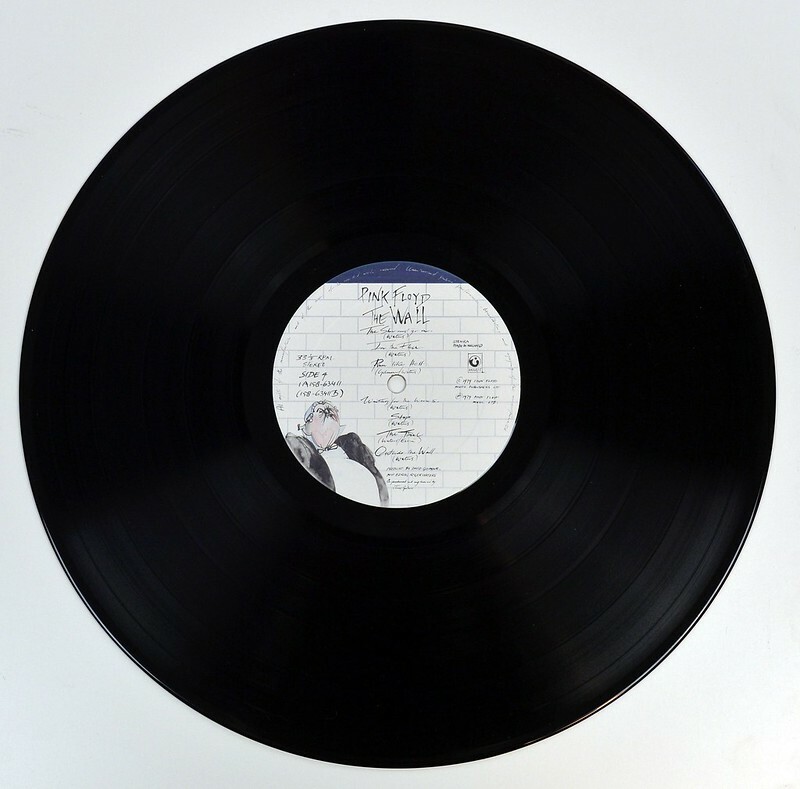 There is NO catalognr on the album's back cover. Credits for all the people working on the production of this album. 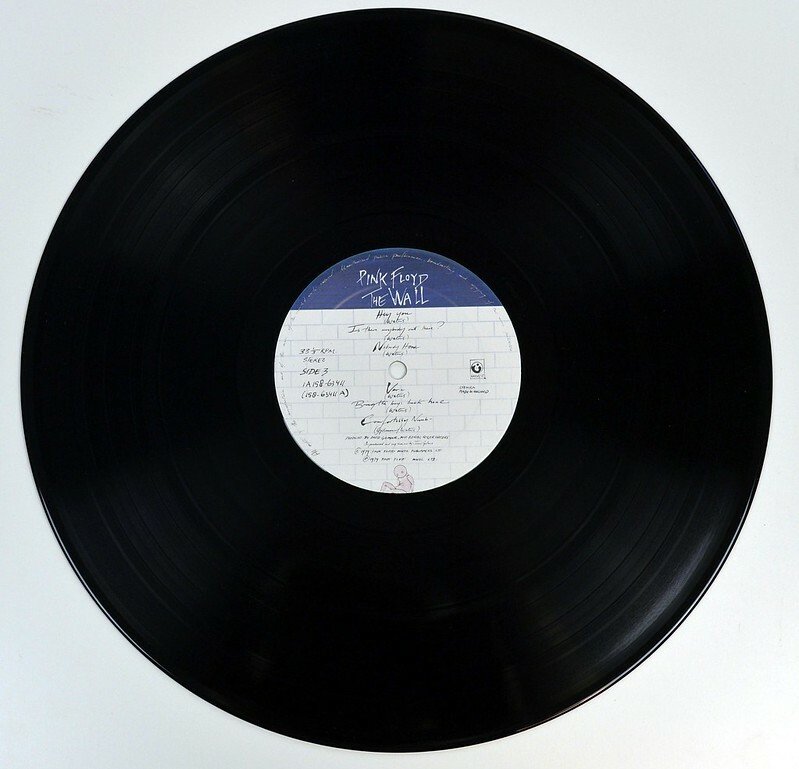 This album comes in light cardboard custom inner sleeves (OIS), each of these with the lyrics of all the songs performed by "Pink Floyd". 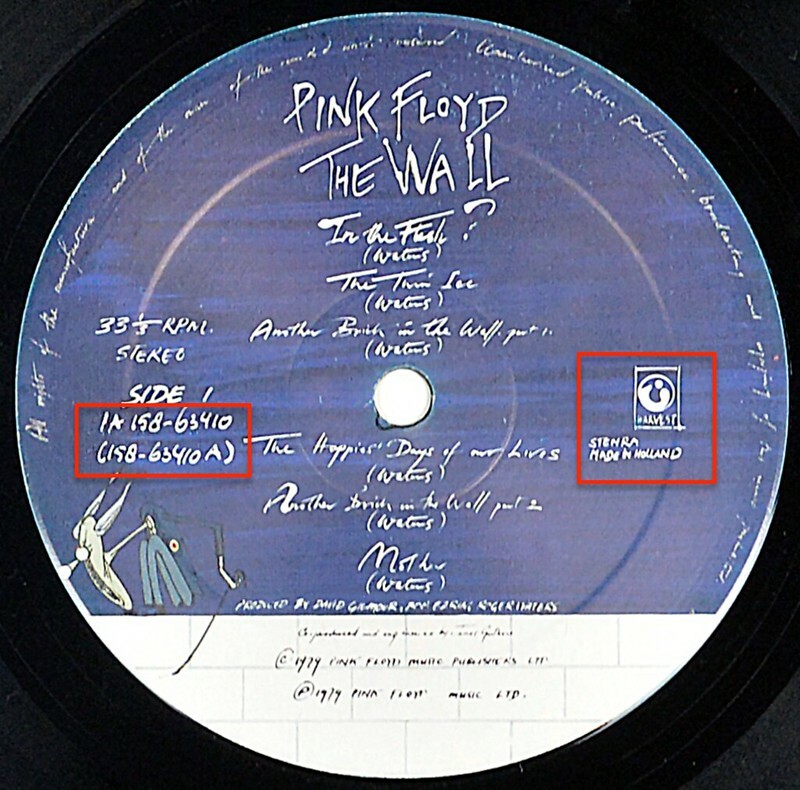 The record labels are printed in Blue/White with text printed in White. There is NO label code on the labels. 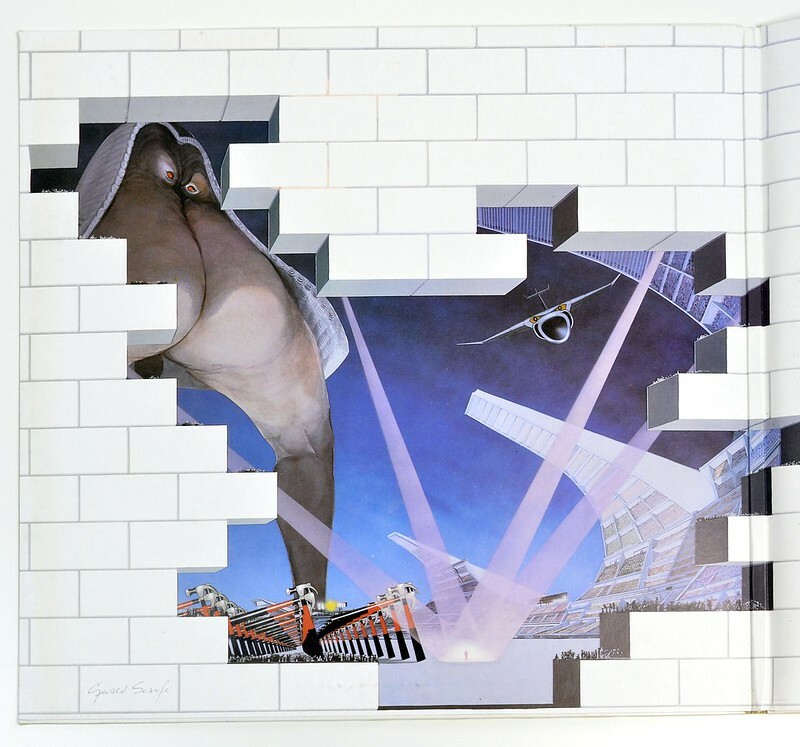 High Resolution and Quality Photos of Complete Album Covers "PINK FLOYD - The Wall"
Album Back Cover Photo of "PINK FLOYD - The Wall"
Complete Track-listing of the album "PINK FLOYD - The Wall"